She's on the way. Still don't know how but they posted a pic with a Supergirl figure on Instagram some time back. Daniel had it as a front page story that day. You're right! I saw it. But still where is she?!? 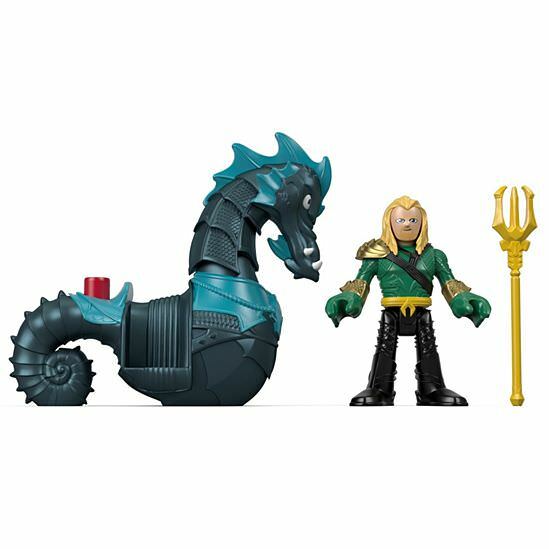 More Aquaman figures. Cool variant. Kheper, what state are you in? Very cool find. That centaur is fantastic. California. Found a fresh box of series 8 at the same store, just a few days before series 11 magically appeared there. 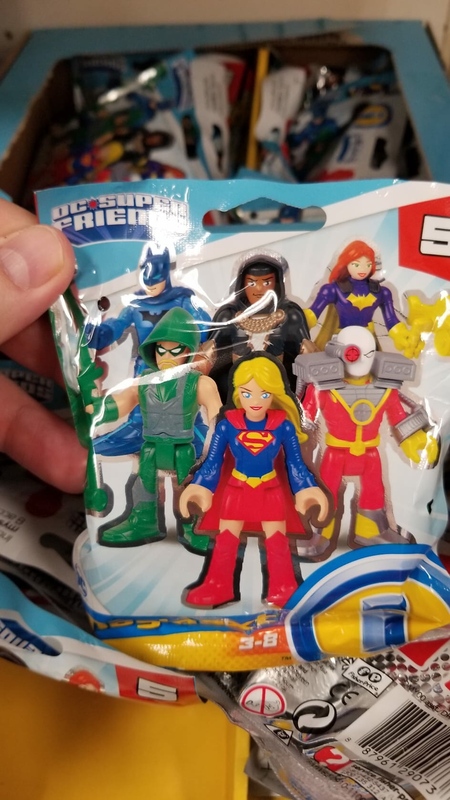 I think they had the most recent DC blind bags, too (series 4?). Loving the new series 11. So glad the centaurs back legs are detachable. It just makes for more display and play options. LOVE the retro call outs. Those M.U.S.C.L.E. figures are a great surprise. The new Seahorse is awesome. Love the angry head. The new Aquaman paint is ok, but nothing of real interest to me. I’m wondering how much of an impact the closing of TRU is havInk on figures being released. The multipacks were TRU exclusive so anyone that was slated to come out in those needs to be reformatted and redistributed to a new vendor. Some of these other items, that seem like a surprise, might’ve already been in the works for places like Amazon, Walmart, Target so their release isn’t impacted as much. I truly hope NOTHING gets lost in th meantime. I felt like Mattel hasn’t release any toys this year. Never seen any new Justice Leage Action 4.5” ( from Flash to Swamp Thing, Lobo) and 6” clayface wave in any stores. And Amazon jacking up prices on Mattel’s imaginext and JLA if available/instock (not via 3rd party seller). I would have to agree with you. Mattel is really falling behind at retail, and they were barely keeping up before. I am just now (literally yesterday) seeing the Clayface wave in stores for the first time. Imaginext is a mixed bag, but lately has been more of a surprise find then a planned purchase. Hopefully things will shake out and settle down by fall/Q3 and DC figures will hit with more regularity. I have a feeling that stalking places like Big Lots, Ollies, Tuesday Morning and the like over the next few months is going to be the way to find those "missing" TRU items. Chrimeny.. CALIFORNIA is a big place, don't be SO GUARDED and just list the city/store. These aren't Funko Pops. BTW.. the homage to Adventure People, and Masters of the Universe with characters that are literally them, to other characters and playsets, that closely invoke various characters has been going on for a few years now. Many of the past blind-bag assortments have other Adventure People in them as well. .. The More You Know..
Really? what Masters of the Universe figures have been made? I am curious and would like to hunt them down. How is the Aquaman Atlantis the same price as Wayne Manor ($49.99)? I am really liking this new wave, Supergirl looks awesome!!! FINALLY RIGHT?